We had a decidedly kid-centric weekend. Saturday alone involved a ballet class for Millie, Audrey's first volleyball game, and Nutcracker auditions, while Sunday was an extravaganza-o-American Girl courtesy of Bryan's mom. Not that I don't love spending my weekends watching kid sports and driving around to sundry kid commitments and shopping for dolls prior to noshing on kabobs strung with star-shaped pieces of melon. I do, truly. I adore my girlies. I'm happy to partake in hours of pretty much anything as long as it involves being with them. BUT...I was also really grateful for the rather stellar date night that Bryan and I managed to eek out on Saturday night -- a date that, in the midst of all the kiddo fun, felt especially grown up. 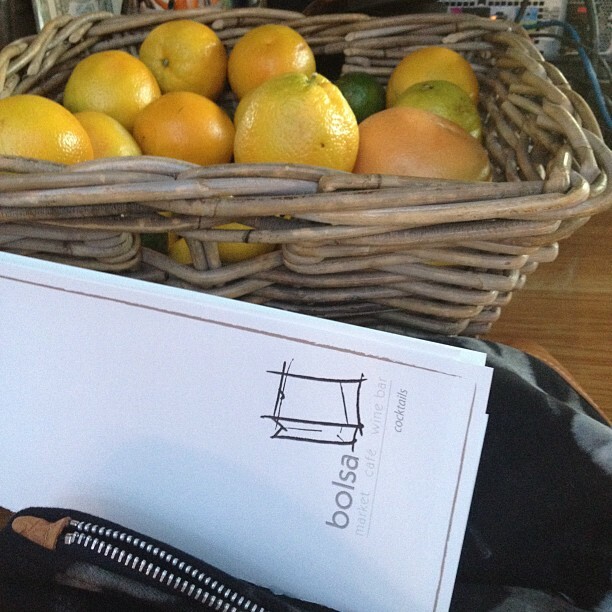 We partook in a looong cocktail hour followed by a leisurely dinner with our friends Sara and Todd at Bolsa. Then we hit a party at Lucia and Pete's house where we chatted outside into the very late hours of the blissfully cool (finally) evening. We got home at 2:00 am. 2:00 am friends! I haven't stayed out that late since college. Suffice to say the whole enterprise had me feeling very "rock star." Ah, Nutcracker auditions. So many memories!! Glad you had a grown-up date night. Did you have to drink a pot of coffee prior? Loving your grown up date night..sounds ultra rock star and I am with you on the 2:00 am thing...years my friend. As for AGPlace stuff, feel your pain. I was Dir of Retail for 5 years in Chicago. Let's just say I am grateful for having boys! Love your dress, necklace, clutch combo! I need to stop by here more often, cause every time I do I just love it more and more!